This Alex and Ani set of 3 bangles is the perfect gift for any Harry Potter fan. 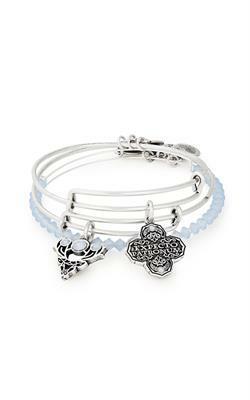 It features an Expecto Patronum charm, a charm of Harry's patronus the stag, and an icy light blue beaded bangle. Pair this bangle set with others from the Alex and Ani Harry Potter collection for the ultimate stack!